Please read these website terms carefully. For the purposes of these website terms, ‘we/our/us’ means Vanquis Bank Limited (Company number 02558509) whose registered office is at No. 1 Godwin Street, Bradford, West Yorkshire BD1 2SU and is a member of the Provident Financial Group. If you have any comments or questions about our website terms, please write to us at Vanquis Card, Customer Service, PO Box 399, Chatham ME4 4WQ. We recommend you print out a copy of these website terms for future reference. Vanquis Bank Limited (Company number 02558509) whose registered office is at No. 1 Godwin Street, Bradford, West Yorkshire BD1 2SU is a member of the Provident Financial group (the Group). Our VAT number is 180555952. You can contact us at Vanquis Card, Customer Service, PO Box 399, Chatham, ME4 4WQ. The website to which these website terms apply and for which we are responsible is www.chromecard.co.uk. The products and services advertised on this website are available to UK residents only. Chrome® and Vanquis® are trademarks licensed to Vanquis Bank Limited. This website and all the materials contained in it are protected by intellectual property rights, including copyright, and either belong to us or are licensed to us to use. Materials include, but are not limited to, the design, layout, look, appearance, graphics, documents, on the website, as well as other content such as articles, reports, presentations, stories, logos, trade marks (registered or unregistered) and other text. All Rights Reserved. Nothing contained on the website shall be construed as granting by implication estoppel, or otherwise any license or right under any patent, trademark, copyright (except as expressly stated above) or proprietary rights of us or any third party. The information and materials contained on this website may not otherwise be copied, transmitted, displayed, distributed, downloaded, licensed, modified, published, posted, reproduced, used, sold, transmitted, used to create a derivative work or otherwise used for commercial or public purposes without our prior written consent. The website, including this page, may contain other proprietary notices and copyright information, the terms of which must be observed and followed. Certain images and information at the website are the copyright or trademark of third parties and any use is subject to the terms and conditions of such third parties. We do not guarantee that this website will be compatible with all or any hardware and software which you may use. We do not guarantee that this website will be available all the time or at any specific time. We may modify, withdraw or suspend the website or any part of it without notice at any time. We accept no liability for any economic loss, punitive, special loss of profit, business or production or any similar loss or damages (including, without limitation, loss of anticipated profits and savings), whether direct, indirect or consequential and any damages whatsoever, including but not limited to contract and tort actions (including libel), arising out of or in connection with the use, copying or display of, or the interaction of any form of communication with regards to the website or a hyperlinked website and the information contained on the website or a hyperlinked website (including via computer viruses or any other form of software). Although we have taken all reasonable care to ensure that the information provided on this website is accurate, we give no warranties of any kind, express or implied, with regard to its accuracy or completeness. The information contained on this website is given for general information and interest purposes only. As a result, you should not rely on this information, and we recommend that you take further advice or seek further guidance before taking any action based on the information contained on this website. We may link to other websites which are not within our control, but under the control of third parties. We make no representations whatsoever concerning such websites. Where we may provide a link to a third party, such a link is not an authorisation, endorsement, sponsorship or affiliation by us with respect to such website, its owners or its providers. We are providing these links only as a convenience to you. 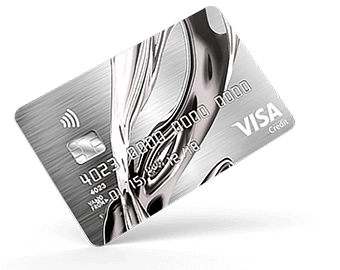 Save where you are applying for a Chrome credit card, nothing on this website is intended to be nor should be construed as an offer to enter into a contractual relationship with you or anyone else, except for these website terms which govern the relationship between us in relation to your use of the website. You may not assign or sub-contract any of your rights or obligations under these website terms or any related products or services to any third party unless agreed upon in writing by us. We reserve the right to transfer, assign, novate or sub-contract the benefit of the whole or part of any of our rights or obligations under these website terms or any related contract to any third party. If any portion of these website terms is held by any competent authority to be invalid or unenforceable in whole or in part, the validity or enforceability of the other sections of these website terms shall not be affected. No delay or failure by us to exercise any powers, rights or remedies under these website terms will operate as a waiver of them nor will any single or partial exercise of any such powers, rights or remedies preclude any other or further exercise of them. Any waiver to be effective must be in writing and signed by an authorised representative of us.